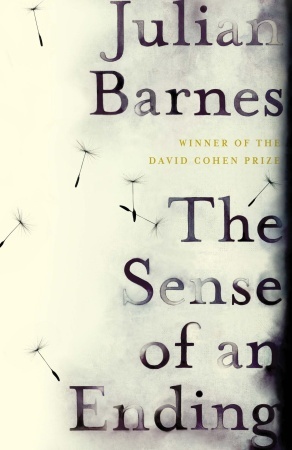 Julian Barnes has won the 2011 Man Booker Prize for The Sense of an Ending — and this year’s jury has salvaged its reputation with the decision. The novel was my favorite by far; my review is here but make sure you go into the comments to see how widespread the approval was for Barnes’ novel. The Sense of an Ending is a slim, but powerful book. A strange bequest takes Tony Webster into his schooldays past and awakens memories that involve both that past and the present. Some readers found that ambiguity disturbing — I thought Barnes captured the uncertainty that Tony experienced as the process unfolded. As much as I would have loved to see a Canadian winner (both Esi Edugyan for Half Blood Blues and Patrick deWitt for The Sisters Brothers were on the shortlist) they still have their chance as both are shortlisted for Canada’s three literary prizes — stay tuned here to see how they fare. If you check the sidebar on the right, you’ll find links to reviews of 12 of the 13 Booker longlisted titles. — By declining to shortlist Alan Hollinghurst’s The Stranger’s Children and Sebastain Barry’s On Canaan’s Side, the jury has completed its Sarah Palin-like Going Rogue, act. With the new entry rules, there were some 40+ entries available from previous winners or listed authors. Only Barnes and Birch remain. As with Palin in politics, there is nothing quite like someone actually going rogue to remind us that the status quo might not be as bad as we thought it was. — Two Canadian authors do make the list — deWitt and Edugyan. We might have much to talk about in my next post in a couple of hours when the Giller longlist comes out if neither happens to make it (although I doubt that will be the case). — The jury’s taste for “action” books is obvious — deWitt, Miller, Birch and (arguably) Edugyan all fit that general description. While I didn’t find any of those books “bad”, I did find all but deWitt quite ordinary, even for their genre. The other three all started with interesting ideas, but failed in the execution. It has to be said that above average writing is not a feature of this short list. Those who look for stimulating prose in their fiction will find this year’s list even more disappointing than I do — except for Barnes (and the not-very-good dialect in Kelman), this is a group of straight-forward narrators. — All of which means that while the book I think is by far the best of this year’s longlist is still around, I don’t have high hopes for it as the eventual winner. That would be out of step with everything this very strange jury has decided so far. I have abandoned The Last Hundred Days at page 138 (the plot is ploddingly obvious, the characters paper-thin — but I will return to it if it makes the shortlist) so my 2011 Booker reading is complete, except for possible rereads once the shortlist is out. It will come as no surprise to regular visitors here that I found this year’s longlist featured some very ordinary novels — I have difficulty seeing what the jury found prize-worthy in more than half the 13 books. Despite that, I think that a decent shortlist is possible (although it would feature a couple of unlikely choices). Here’s my personal shortlist, listed in order (click on the title to link to the original review). Your own list would be more than welcome in comments. I’ll update this post with the official shortlist when it is announced on Sept. 6. The Sense of an Ending, by Julian Barnes. My favorite by a wide margin, this slim (150 pages) novel has all the makings of a classic. Tony Webster’s contemplation of his past — an exploration of the difference between shame, guilt and remorse — is sensitive, perceptive, even heart-warming in its way. Some readers have found the uncertainty in the book frustrating; I thought it added to the realism. This book would be an entirely worthy winner. 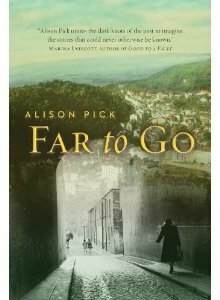 Far To Go, by Alison Pick. Okay, there is some national chauvanism in my ranking since this is a Canadian novel which first appeared here last year, but I found it held up very well as I explored the other twelve. The story is built around the Kindertransport “child rescue” initiative in the months before World War II broke out — for those who liked Simon Mawer’s The Glass Room a couple years back, this book also features the misplaced optimism of a Jewish family in pre-war Czechoslovakia. Like Mawer, Pick includes a modern element which worked very effectively for me. 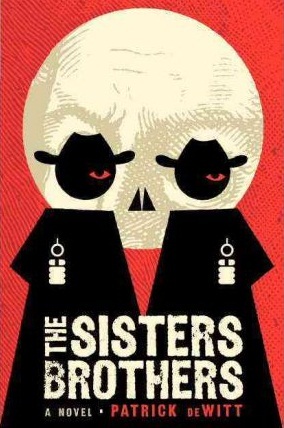 The Sisters Brothers, by Patrick deWitt. I am surprising even myself with this high ranking of a Western in a competition supposedly devoted to the “literary” novel, but deWitt does deliver on his engaging premise. Narrated by Eli Sisters, the story concerns two gunslinger brothers who have a contract to kill a prospector during the mid-1880s California gold rush. There is a fair bit of violence but that is not really the core of the book — Eli’s introspection and distinctive voice are what makes it work. And, as many have observed, it will make a fine movie. 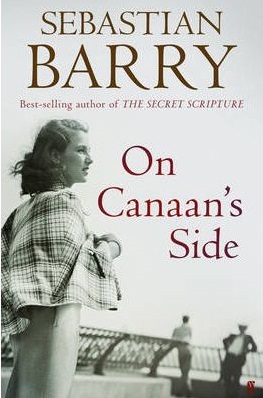 On Canaan’s Side, by Sebastian Barry. Poet and playwright Barry has produced another finely-crafted novel — The Secret Scripture was shortlisted in 2008 and this one has some similarities. The author has returned to the Dunne family which featured in two of his earlier novels. In this one, 86-year-old Lilly is looking back at a tempestuous life, most of it spent in America after fleeing Ireland because of the family’s perceived British connections. The first two-thirds was excellent but I am afraid after that that Barry’s plot-stretching became too much for me to rate it higher — even his ability with language gets strained. 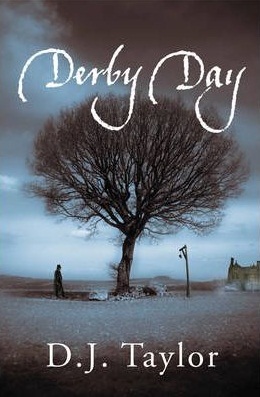 Derby Day, by D.J. Taylor. A Victorian mystery centred on England’s legendary horse race, this one details the efforts of a large cast of characters, all determined to cheat the system to advantage and make money off the Derby. They are a thoroughly disreputable bunch and, while Taylor has some problems juggling his many storylines as the book winds on, the result is a very entertaining read. Most Booker shortlists feature a historical novel so I would not be surprised to see this rather unconventional choice make the real jury’s list. 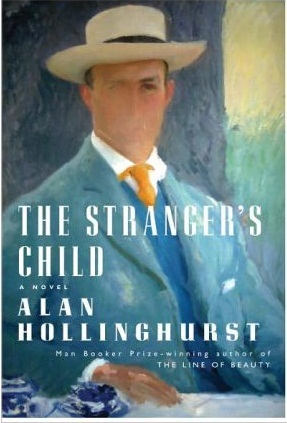 The Stranger’s Child, by Allan Hollinghurst. This one ranks well below my top five (I did not rate it very highly at all on first reading) but I need a sixth pick and the author has at least produced an ambitious book, even if it did not succeed for me. Cecil Valance is a young poet who makes a weekend visit to a fellow student’s home just before the Great War. He produces a poem which will become a British schoolbook staple and the central feature of Hollinghurst’s narratives in a series of extended episodes in the decades that follow. For me, the writing got in the way of a potentially interesting story — others found that to be the strength of the book. I am afraid the remaining seven were all disappointing works for me — “ordinary” was the friendliest description that I found myself using all too often when I wrote my reviews. Most of those seven do sound interesting when you describe the premise; the problem is that the authors simply did not deliver. In a year that featured many good novels (we can talk about them in comments), it was disappointing to see such marginal books on the longlist. I’m not going to try to rank them — the five that I read are all in a clump of “good idea, bad execution” from my point of view. If there was ever an author whose reputation and considerable skill stands in the way of my critical assessment, Sebastian Barry is he. As someone who has an affinity for Irish novels (see my raving about the work of John McGahern here), there is no doubt that Barry, along with compatriot Colm Toibin (and, yes, many others — those Irish can write, I must say), deserves to be considered with the best of the current generation. And, yet, each time I pick up his latest work, as is the case with On Canaan’s Side, the promise of the first two-thirds of the novel is not delivered in the conclusion. It is a tribute to Barry that that still makes the book “good to very good”; it is a criticism that “excellence” has been missed. On Canaan’s Side is another “testament” novel, by my count the fourth on this year’s Booker longlist — Julian Barnes, A.D. Miller and Jane Rogers complete the list of novels framed as first-person memoirs by the central character. It is only right to note that Barry employed a similar approach in his last novel, The Secret Scripture, which was widely tipped to win the 2009 Booker and fell short to The White Tiger, apparently much to Barry’s dismay. So let’s cut right to the chase — the first half of On Canaan’s Side is as good as the first half of any other novel that I have read this year except for Julian Barnes’ The Sense of an Ending. Lilly Bere, the diarist of the novel, is 89 and we know early on that she has decided to end her life when this diary project is done — the book consists of notes arranged as chapters that she composes during her last 18 days. The suicide of her grandson Bill, who has just returned from the first Iraqi War, has provided the immediate impetus, but there are many other elements which have fertilized her decision. Lilly’s family, the Dunnes, has featured in Barry’s fiction before — they were on the “wrong” (read British) side of the Irish war of independence. Her father was chief superintendent of the Dublin Metropolitan Police when the latest independence troubles started; her deceased brother, Willie, fought for the British in the Great War and died in Picardy. He was Lilly’s favorite and she never quite recovers from that loss. Lilly doesn’t understand or endorse these politics but she has to live with the consequences. Alas, for Lilly, there is an even bigger dislocation looming when she strikes up with Tadg Bere. He is a returned solider and like many has taken employment with the Black and Tans, on the British side, since no other paying work is available. His presence at an incident where the Tans kill a number of IRA attackers has led to a death warrant on not just Tadg, but Lilly. You may have noticed that there has not been a quote in this review so far. And there will not be one in the remainder. In terms of prose style, Sebastian Barry (four novels, seven plays, four books of poetry) is as good as the modern English writing world gets — head off to the bookstore and open any Barry volume (including this one) at any page and you will see how good writing can be. There is no need for me to repeat it here. Still, that considerable skill alone is not enough to carry off an outstanding novel and I don’t think Barry succeeds with this one (but he does come close), just as I don’t think he succeeded with The Secret Scripture a few years back. As good as he is at writing, he doesn’t do plot in either of these books. And the problem is that as the plot disintegrates, the writing becomes twee instead of impressive — the book’s greatest strength effectively becomes an annoying weakness. Lilly’s journal starts about 70 years back from when she is writing it, comfortably ensconced in a cottage on the Hamptons which is about as close to “really rich” America as you can get. The last decades of her career were spent as a cook for a wealthy American family; the daughter and current dowager, Mrs Wolohan, three decades younger than Lilly, has effectively adopted her. Lilly’s mind is not just parked in the past, however, it is also distracted by the present, in the form of Bill’s suicide in the lavatory of the local school, the implications of the death of Mr Nolan (the Wolohan’s gardener), but perhaps most of all, her present tense need to look at her own history, now that she has decided it is time to end her life. Many decades ago after that Black and Tan incident, when the IRA put out that death warrant on both Tadg and Lilly, her father’s contacts made it known to him and the couple were able to escape on a boat to New York where there was a cousin. Alas, that cousin wasn’t found and the two (living under aliases) made their way to Chicago where another sort-of cousin lived. They were planning to be married and after their first, glorious sexual episode (delayed many months because these two are quite religious) they head off to the Art Institute for an afternoon outing. Tadg is admiring one of Van Gogh’s self-portraits when Lilly becomes aware of a shadowy figure approaching. 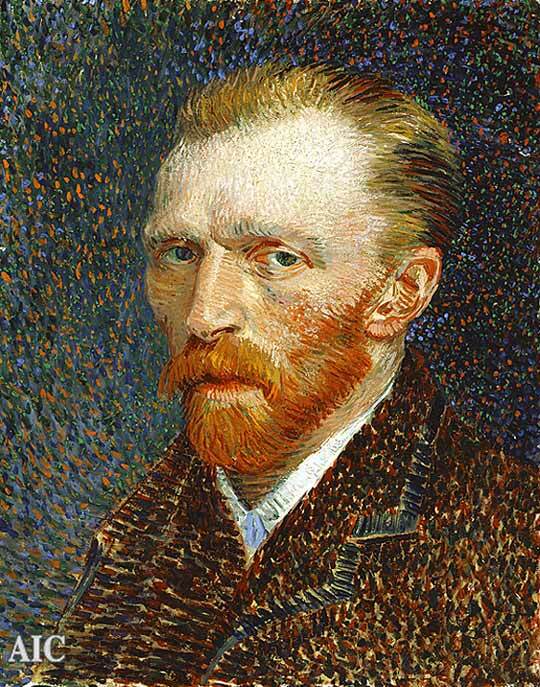 She tries to alert her lover but he is entranced by the Van Gogh — the stranger (obviously IRA) murders him, Lilly bolts and starts a new life as a refuge. Barry manages to hold all this together (actually, he does it exceptionally well) for the first half of the book. The language is marvelous, Lilly is a real character, the history (at least as viewed through her eyes) makes sense. When I put it down at that point, I was most impressed and even more interested in where the author would take this book. Unfortunately from then on, everything in this novel went downhill — yes, it was still more than worthwhile to read but its “masterpiece” caliber shrank from page to page. I’ll supply only hints of my disappointment. Having Dr. Martin Luther King show up as the only black at an outdoor dinner party on the property of one of America’s richest families on Long Island just days before he will be assassinated is just too much of a stretch — it is not just an anachronism, it is the fiction version of extreme bad form. If we are to believe in the fates of Lilly’s son and grandson (“they went to war and came back irreparably damaged” is simply not good enough), more attention needs to be paid to them — had this novel been written in the third person, not the first, that would have been possible. And the background of Mr Nolan is so thoroughly presaged that its eventual dramatic revelation is almost an afterthought — and it comes so late in the book it doesn’t really matter. Don’t take this the wrong way — Sebastian Barry has again produced a novel that showcases his substantial writing skills and, for those who are willing to overlook his plot issues, it is a substantial achievement. On Canaan’s Side is a highly readable book and, even with its problems, it is worth the trouble — certainly better than most on this year’s Booker longlist. The problem is that this novel, much like The Secret Scripture, offers the potential of being great — but it is not. Barry is such an excellent writer that I believe he will achieve it eventually. I guess we just have to wait another five years until the next effort appears. When the Booker longlist was announced, I admitted my distaste (that is an understatement — loathing might be more accurate) for dystopian novels and acknowledged the possibility that I would not read this one if it did not make the shortlist. I promised to look for a favorable review — my self-serving excuse was that I wanted to be fair to the author rather than simply ravaging her book; the selfish version is that I wanted no part of hours of reading that I knew I would not enjoy. The Testament of Jessie Lamb fully deserves its Booker longlisting. For such a short book, there’s so much in it. Ostensibly about a dystopian future in which pregnant women die, we find a novel about teenage innocence, the desire to be heroic, questions about the meaning of life and, at the most basic, the relationship between father and daughter. There are some parallels to other texts – most notably Never Let Me Go – but this take is original enough to stand on its own merit. Some commentators have thought that Testament is fundamentally feminist. I’m not sure how far that’s true. The basic premise of Maternal Death Syndrome does involve women but the impacts will be universal – without a cure, humankind will die out. Moreover, the question of young people laying down their lives for a greater good has traditionally been, perhaps not quite exclusively, the preserve of men in warfare or terrorism. In creating the MDS, Jane Rogers has cleverly found a way to reverse the gender roles. As a man, I think the principles of martyrdom are universal. The writing style of Never Let Me Go was more stylized; more perfect. The device of a diary interspersed with an epistle is sometimes a bit clunky and Jessie Lamb’s confused ideals make for a less clean novel. Ishiguro’s clones had been brought up to expect their own sacrifice. Jessie Lamb wasn’t; she saw news reports and chose to take on her role. She had the choice. Yet, for all this, there is still the same issue — what is the point of living when you know that it will all come to an end — which is pretty much where we all stand. On the one hand, we can live for the pleasure of the moment. On the other, we can feel a need to pass things on to future generations. And mostly we lurch wildly between the two positions. The story is pacy and has moments of real tension. Whilst some of the characters are rather two dimensional, Jessie herself and her father do feel real, solid and develop as events unfold. If there’s one moment of clunk, it is right at the end when Jessie Lamb says what we have all been thinking – that she has much in common with suicide bombers. Actually saying it cheapens the effect a little. But mostly this is a novel teeming with ideas and leaves the reader thinking. I do hope The Testament of Jessie Lamb goes further. To re-insert KfC into this thread, MHG’s references to Never Let Me Go (a novel that I did not like, but many did) strike a responsive chord. And to state the obvious, there seem to be elements of Margaret Atwood’s The Handmaid’s Tale (another much-loved novel that I didn’t like) in this one. MHG didn’t address it in his review, but may expand in his comments. Another note for those visitors here who are collectors. If you are lucky enough to get an original version of this book, published by the small Scotland house Sandstone Press, there is a spelling error (Jesse, not Jessie) on the spine. Could be very valuable if this one moves on and you have that first edition. I should note that the review has produced some very articulate critical responses on the Booker forum — you can find them in the discussion thread here if the review sparks your interest. Thanks, Mister Hobgoblin for letting me borrow your thoughts. I think I have finally discovered my problem with this year’s Booker longlist: 10 of the 13 novels are narrated in a first-person voice. Now the first person is not a totally impossible point of view (Proust and Camus certainly come to mind as exceptional successes), but it is a difficult one to carry off. Indeed, a couple on this year’s list (Julian Barnes’ The Sense of an Ending and Sebastian Barry’s On Canaan’s Side — review to come soon) either succeed or come very close. But go to your shelf of personal all-time favorites and look at how few are written in the first person (War and Peace and Ulysses would have been impossible, Austen, James and Wharton all found the third-person more than acceptable for their deservedly-famous works). So I think I have found my 2011 Booker problem: especially for one who does not like memoirs or autobiographies (that would be me), even when a first-person novel comes close to success, it fails. By definition, the point of view is restricted — rather than being impressive because of what is told, the novel becomes a story of what is missing (again, a characteristic that can succeed — see Barnes — but carries with it an enormous risk). In the hands of the inexperienced or middle-talented, that can produce a reading adventure that is incomplete and unsatisfying at best (another apt summary of too much of my Booker reading this year). I was born twice. First in a wooden room that jutted out over the black water of the Thames, and then again eight years later in the Highway, when the tiger took me in his mouth and everything truly began. The young Jaf’ found his head in the tiger’s mouth purely through curiosity — Jamrach, the menagerie owner, was leading the animal down the street to his warehouse and the seven-year-old boy strode up to stroke the tiger’s nose. Jamrach saved Jaf’s life and delivered him home. For Jaffy Brown, that leads to eventual employment as a yard boy in Jamrach’s menagerie and it is his experience there that will set him onto the adventure that occupies most of the book. I’ve characterized this novel as representing the genre of “animals as metaphor” (consider Animal Farm as the model) elsewhere and some have disputed that — I continue to believe this is very much an “animals as metaphor” book (starting with that tiger). If you read and loved Yann Martel’s Life Of Pi, stay tuned because this is about to become even more of your kind of book. ‘A dragon of sorts.’ Dan doodled on a scrap of paper. ‘If it exists. Certainly the natives believe it does. The Ora. There have always been rumors. I talked to a man on Sumba once who said his grandfather had been eaten by one. And there was a whaleman once, an islander. He had a tale. There are lots of tales.’ He showed me what he’d drawn. It looked like a crocodile with long legs. Jaf’s best friend, Tim, is signed on to the project as Rymer’s assistant in capturing the dragon. Jaf’, who is far better with animals than Tim, quietly slips off to the dock and signs up as a rookie sailor on the crew of the whaler Lysander whose captain has agreed to divert it for a few weeks to search for the dragon. (Spoilers coming up, but they are totally predictable in the book itself.) After lengthy, not very good, passages, about life on a whaling ship including the killing and butchering of a whale and recovery of its oil, the “dragon” is found and captured. Massive problems ensue (not all the dragon’s fault, but it is the symbolic cause — this is an animal as metaphor novel, after all), the Lysander sinks in a very unrealistic storm and 12 crew, including Jaf’, Tim and Rymer escape into empty seas in two whale-hunting skiffs for a seemingly endless attempt at survival (given that he is telling the story, Jaf’ obviously does, which tends to make the drama even more disappointing). Cue Life of Pi again, but at much greater length. Novelist Birch falls victim to two of the entirely predictable problems of first person novels as this unfolds (a fate she shares with a number of her longlist colleagues). The first, and perhaps most common, is a reliance on “dream” to expand the narrative. I confess to a general aversion for “dreams” in novels — it is an all too convenient way for the author to head into another world to deal with problems that cannot be addressed in the principal narrative. I was less than a third of the way through this novel when the continuing escape to dreams began to annoy me; from then on it seemed the author ventured off to dreamland every two or three pages. Certainly, when the skiffs were drifting, it was a form of dementia — from a writing point of view, it was still a lazy device. We rowed in through house-high rocks covered in barbarous plants like halted green explosions. A river ran down from a high forested ravine, skirting one edge of a sheltered beach, horseshoe-shaped, fringed with creamy-blossomed trees and split about the other edge by a long spur of dark pink rock. Beyond, upland and inland, tier on tier, slender shock-headed palms leaned elegantly one way, as if about to pull themselves up from the earth and set off on some sweeping migration. On either side of the bay, tall crags rose up. Those with an affinity for sea novels, a deep affection for Life of Pi or a fascination with “animals as metaphor” may well find something in this Victorian historical novel — I know from reviews and opinions elsewhere that a number of people did. I know that I didn’t and that my frustration led to even more dismay with aspects of Birch’s writing. In a year where the Booker longlist has many disappointments, Jamrach’s Menagerie is going to be somewhere in the bottom third of my ranking. He just knocked, that was all, knocked the front door and waited, like he’d just come back with the paper from the corner shop, and the fourteen years since he’d last stood there, the fourteen years since the night I’d killed my mother, hadn’t really happened at all. I had imagined that moment a thousand times; Lemon had come back for me. He knew everything yet still loved me. Over a decade filled with dreams where he did nothing but hold me close while I cried. Had he come sooner, my whole life might have panned out differently and it might have been possible to smile without effort, or been able to love. Lemon has come back because Berris has been released from prison: Berris, convicted of the murder of Jinx’s mother (we now have two people who killed her), just days before he was to become her stepfather but some months after his live-in status had dramatically altered teen-age Jinx’s life. This action all takes place in East London and those four characters (Jinx, her mother, Lemon, Berris) effectively represent the complete cast of the book. They share something else, however, which for me was the strongest part of Edwards’ novel — all can trace their roots to the tiny Caribbean island of Montserrat. If Sam Selvon’s Moses trilogy is the defining standard for portraying the life and lingo of displaced Caribbeans in London, A Cupboard Full of Coats is at least an attempt at providing a modern update. She was the only child of a poor, uneducated Montserratian land worker and his semi-literate wife. In an era when it was normal for Caribbean migrants to leave their children behind with relatives as they headed out to the Motherland to make their fortune, with the wild card Hope flapping hard against the ribcage, my grandparents took their daughter with them. Between the three of them, they bore a single cardboard grip, and most of what was inside it belonged to her. Everything I know about them I learned from her, and the sum of everything she said was that they could not have worshipped God himself more than they worshipped the ground she walked on. Full stop. There is another aspect to the Montserratian “diaspora” that adds to the positive side of this novel: the food. Edwards’ description of some of the kitchen action is enough to send a reader off to the closest exotic food store to pick up ingredients (you’ll have to read the book to find them) and start cooking, instead of reading. And, of course, enjoy the eating, which rather interrupts the reading. Those threads are put in place quite well by the author in the opening pages of the story. Let me introduce one other element (and there are Potential Spoilers here) which is essential to the story. Berris (who appears only as seen by Jinx and Lemon in the book) has a violent streak, perhaps not uncommon to displaced people in a world whose rules of behavior they don’t really understand. When he gets upset, he beats Jinx’s mother. And then, in an expression of remorse, he buys her an expensive coat. The title of the novel says the rest — the coats do reappear as the novel progresses. Most of the 250 pages of this novel are devoted to Jinx reviving her memories from 14 years ago — with an awkward literary device, Edwards has a somewhat-drunk Lemon recount his version in lengthy soliloquies to supply another point of view. For what it is worth, I found the past tense stories more interesting than the present tense ones, but I will admit it was a challenge. This is going to be a much shorter review than is normally featured here because that effectively sums up the novel. Like so many on this year’s list, it wasn’t bad, it just wasn’t very good. This year’s jury has included two versions of books about displaced Black people in London on its longlist — Pigeon English is the other– and I do prefer this to Kelman’s novel. Given what has happened recently with the riots, that inclusion is appropriate but I only wish the examples chosen were better books. Edwards and Kelman both set worthwhile objectives, but I am afraid their results just don’t deliver. Having said that — and read Sam Selvon’s trilogy — I found A Cupboard Full of Books a frustrating book. It shares, with so many books on this year’s longlist, the characterstic of being a very worthy idea that has been badly executed. Full marks to Yvvette Edwards for her ambition, far lower marks for the delivery. As for the Booker longlist, another very strange choice in a year when so many very good books did not make the first cut. And if that theme of Caribbean dislocation interests you, do rush out and buy a copy of Sam Selvon’s The Lonely Londoners. It is light years better than this book and much overlooked. She was about five metres behind me, and as well as screaming she was wrestling against a thin man with a ponytail who was trying to steal her handbag (an ostentatiously fake Burberry). She was screaming for help, and the friend who had appeared alongside her — Katya, it turned out — was just screaming. To begin with I only watched, but the man drew back his fist like he was about to punch her, and I heard someone shouting from behind me as if they were going to do something about it. I stepped forward and pulled the thin man back by his collar. So opens the first storyline of A.D. Miller’s debut novel, Snowdrops. A lonely Nick has been “introduced” to Masha and Katya; infatuation quickly follows. The conceit that supplies the format for the book is that it is being written a few years down the road, with Nick back in London, and he is writing it as a “confession” of his Moscow experience to the woman he is about to marry. She was wearing tight jeans tucked into knee-high brown leather boots, and a white blouse with one more button undone than there needed to be. Over the blouse she had one of those funny Brezhnev-era autumn coats that Russian women without much money often wear. If you look at them closely they seem to be made out of carpet or beach towel with a cat-fur collar, but from a distance they make the girl in the coat look like the honey-trap in a Cold War thriller. She had a straight bony nose, pale skin and long tawny hair, and with a bit more luck she might have been sitting beneath the gold-leaf ceiling in some hyper-priced restaurant called the Ducal Palace or the Hunting Lodge, eating black caviar and smiling indulgently at a nickel magnate or well-connected oil trader. Perhaps that’s where she is now, though somehow I doubt it. In those gold-rush days — when half the buildings in the centre of the city were covered in submarine-sized Rolex adverts, and apartments in Stalin’s wedding-cake skyscrapers were going for Knightsbridge prices — money in Moscow had its own particular habits. Money knew that someone in the Kremlin might decide to take it back at any moment. It didn’t relax over coffee or promenade with three-wheeled buggies in Hyde Park like London money does. Moscow money emigrated to the Cayman Islands, villas on Cap Ferrat or anywhere else that would give it a warm home and ask no questions. The foil in this storyline is the Cossack, a deal-maker who is proposing to construct an oil shipping terminal in the form of an old tanker which will be permanently anchored offshore in the Barents Sea. Nick is acting for a bank whose financial support the Cossack is seeking for his “project”. Even without the author’s presaging, the potential pitfalls in this storyline are apparent from the start given what we know of the Russia of the time so I will go no further on that one. Storyline number three is the “snowdrop” of the title: “1. An early-flowering bulbous plant, having a white pendant flower. 2. Moscow slang. A corpse that lies buried or hidden in the winter snows, emerging only in the thaw.” That corpse is introduced in a short prologue (“I smelled it before I saw it”) so the reader is alerted that it will feature later in the book. I am including a lot of quotes here because I think potential readers will find them useful. If the narrative style sparks your interest, you will probably like the novel. If it leaves you cold, it is probably best avoided. Nick is one of those people who “goes with flow”, rather than acting from a set of personal principles. Given the “flow” of the Moscow of the time (which Miller obviously knows well), it is apparent from the start that none of the three storylines will turn out well. Even the “confessional” aspect of the narrative is more a series of rationales for Nick’s lack of real character than an exploration of what he might have done differently. Snowdrops has been out for some months and many people have liked it — I am being deliberately vague because I don’t want to spoil it for those who might join that group. I found it badly wanting. The dramatic development in all three story lines is entirely predictable; it doesn’t have any of the punch or twists that characterize Chandler’s work. The narrative style attests to Miller’s journalistic background; straightforward and well-paced, but lacking any emotion or nuance. And despite the author’s experience with Moscow, there is a curious lack of depth to both his descriptions of the city and the business environment of the time. For me, Snowdrops was a quick and not entirely unenjoyable read — like so many books on this year’s Booker longlist, “ordinary” is the term that came to mind. It certainly would not rate as one of my 13 “best books” of 2011. Half Blood Blues, the second novel from Canadian author Esi Edugyan, is still two weeks away from its Canadian release but already the book has acquired a “story” — one that invites comparison with last year’s Giller Prize winner, The Sentimentalists, and its intriguing publishing history. Edugyan’s novel was scheduled for release in February this year but got caught in the bankruptcy proceedings which led to the shutdown of publisher Key Porter. Thomas Allen has rescued the book and it will be out later this month. In the meantime, a UK version published by Serpent’s Tail is on the market — and it has made the Booker longlist. The downside: It is another Holocaust novel, set in pre-war Berlin and early war Paris. So much very good fiction has been written about this period that many readers (including KfC) have a sense of “enough”. If you are going to use that framework which so many excellent authors have used before, the book has to be very, very good. The upside: The central theme in the novel is about jazz musicians in Europe in the pre-war years. The Jim Crow atmosphere in the United States led many creative blacks (painters and writers as well as musicians) to head to Europe in the 20s and 30s where the atmosphere was friendlier — and then it became deadly. A good bit of non-fiction has been devoted to that phenomenon but there has not been a lot of fictional work. Did that ever stun me, him saying this. For weeks the kid been going on about how dreadul we sound. He kept snatching up the discs, scratching the lacquer with a pocket knife, wrecking them. Yelling how there wasn’t nothing there. But there was something. Some seed of twisted beauty. We lined up the empty bottles along the wall, locked up real quiet, gone our separate routes back to Delilah’s flat. Curfew was on and Paris was grim, all clotted shadows and stale air. I made my quiet way along the alleys, dreading the sound of footsteps, till we met up again at the flat. Everyone but Coleman, of course, Coleman was staying with his lady. We collapsed onto dirty couches under blackout curtains. I’d set my axe against the wall and it was like I could feel the damn disc just sitting there, still warm. I felt its presence so intensely it seemed strange the others ain’t sensed it too. Its wax holding all that heat like an altar candle. The narrator is Sid, the bassist in the quartet, and he has secretly lifted the master copy of the latest recording effort, before Hiero can destroy it. Hiero (properly Hieronymous Falk) is a brilliant 20-year-old black trumpeter — German-born, but of mixed breed (note the title of the novel), which is a disastrous mix in Nazi Europe. Coleman will soon disappear from the story but the fourth member of the quartet, Chip, the drummer, will loom even larger as the novel proceeds. Delilah is the unifying force at this stage of the novel. A vocalist, she hooked up with the group in Berlin a few years earlier and more than one of them fell in love with her. She is also a good friend of Louis Armstrong (yes, he was in Europe at the time and does appear in the novel) and had originally set them up to do a recording with him. The Nazi takeover of Berlin put paid to that but the musicians have managed to move on to Paris, although a number of their comrades have been abandoned, captured or distracted along the way. Despite advice to escape Paris now that a German invasion is on and Delilah’s access to well-forged documents and passports providing the opportunity to do that, they are sticking around to complete their recording — and the work is obviously not going well. If the Paris sessions are the centrepiece of the novel, Edugyan also supplies a back story in the form of how this crew came together and what the atmosphere was like in the cabarets of pre-Nazi Germany. More important to the structure of the novel, however, is the “post story”. A half century after this Paris experience, Sid (who was never very good as a bassist and left jazz some decades ago) and Chip (who built a successful career as a jazz drummer) are headed back to Berlin. That studio disc that Sid purloined happened to survive, along with a handful of others that the group had recorded in Berlin. An academic has produced a publication that in turn led to “cult” status with a focus on Hiero (SPOILER: He was captured by the Gestapo and last seen headed to a concentration camp). A famous documentary director has picked up the story, with interviews from both Sid and Chip featured in the film and the two elderly men are on their way to post-1989 Berlin for the premiere. The strength of Edugyan’s novel is the way that she knits these three stories together. If you have been following the Booker longlist or are a regular visitor here, the overarching structure of Half Blood Blues is raising some obvious comparisons — Alison Pick’s Far To Go. This novel starts with Kristallnacht, that one Kindertransport. Pick develops her wartime story by concentrating on a Czech family that chooses to stay behind despite the obvious danger, just as Edugyan’s musicians do. And both novels have a “present tense”, a half century down the road — the trauma produced by those times has never gone away. Despite my interest in jazz and jazz fiction, Pick emerges as a clear winner on this comparison. The “war” part of Half Blood Blues is shallowly told and adds nothing to previous work. The curious “lingo” that the author uses in the book is forced and unconvincing. Most disappointing is that the jazz aspect of the story simply never comes together. If I can again resort to comparisons with Pick’s novel, she captures (realistically, painfully and emotionally) the challenges and heartbreak that the parents in her novel faced — Edugyan simply never develops a version of that for the musicians in her novel. Half Blood Blues has not attracted a lot of attention, so I have not seen a review that enthused about the book. I salute Thomas Allen for making sure that it has been published in Canada — I’ll admit that I can’t see what the Booker jury found in it.